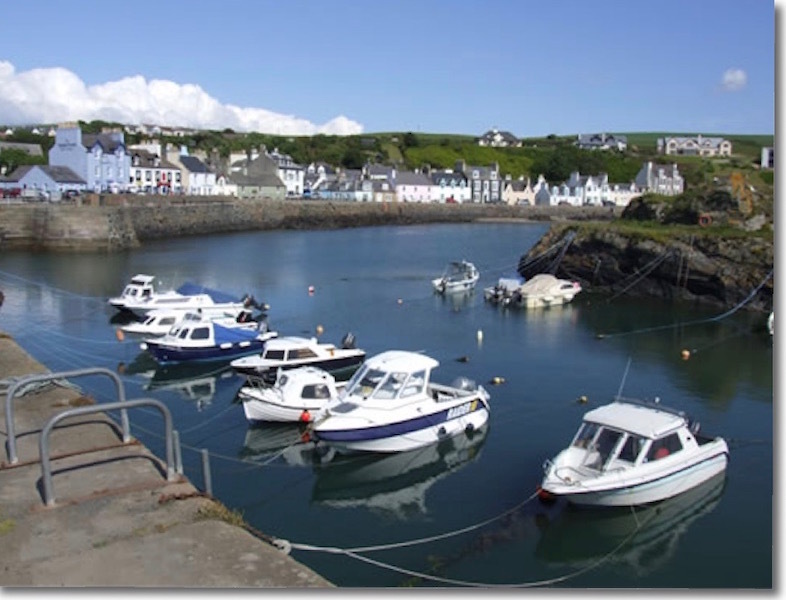 Portpatrick provides the perfect base from which to explore everything that this stunning area has to offer. The village itself continues to charm visitors from all over the world with its unspoilt character and crescent-shaped harbour around which lie a number of inns and restaurants, coffee shops and gift shops. Visitors can enjoy a number of coastal walks, both difficult and easy. Portpatrick is at the western end of the 212-mile long Southern Upland Way which runs from the village across the South of Scotland to Cockburnspath on the east coast. Golf, fishing and sea angling deserve a page to themselves -read more here. Don't delay - book your stay with us today - view prices and availability. For booking enquiries, please call us on either 01776 706330 or 07795 314214 or email us. Sub-aqua clubs also visit the area to search for wrecks lying along the coast such as the Orion which sank after running aground on rocks at the north end of the village. 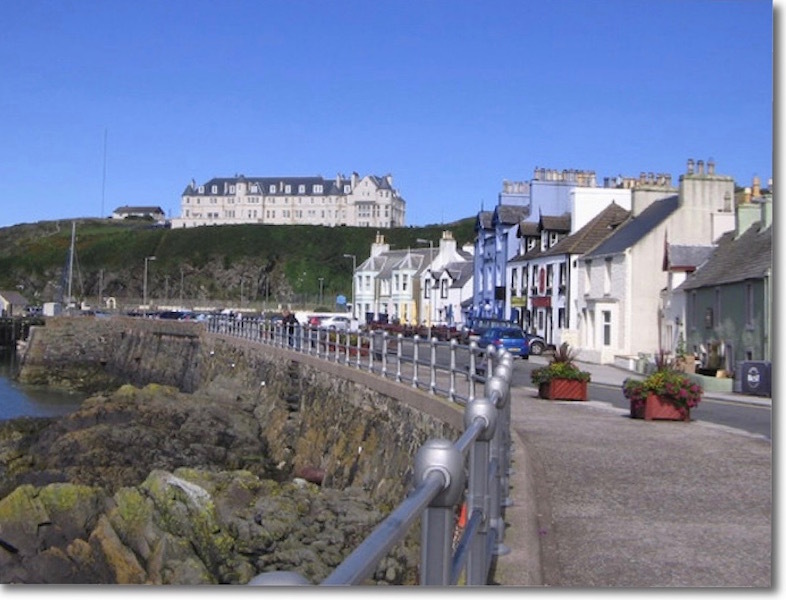 Portpatrick also boasts a lifeboat station and museum and hosts annual boat and folk festivals. The Lighthouse Pottery and Smuggler’s Cove Gift Shop are popular with visitors to the village as is a visit to the ruins of Dunskey Castle. The Rhins of Galloway coastline, both north and south of Portpatrick, is host to a number of secluded bays and beaches and the area benefits from the Gulf Stream's nearby passage which ensures a mild climate where sub-tropical plants and trees flourish, as witnessed by a number of beautiful gardens including the Logan Royal Botanical Gardens a few miles from here. The Mull of Galloway Visitor Centre and RSPB Reserve is just a short drive from Portpatrick at Scotland’s most southerly point and affords stunning views out to sea. 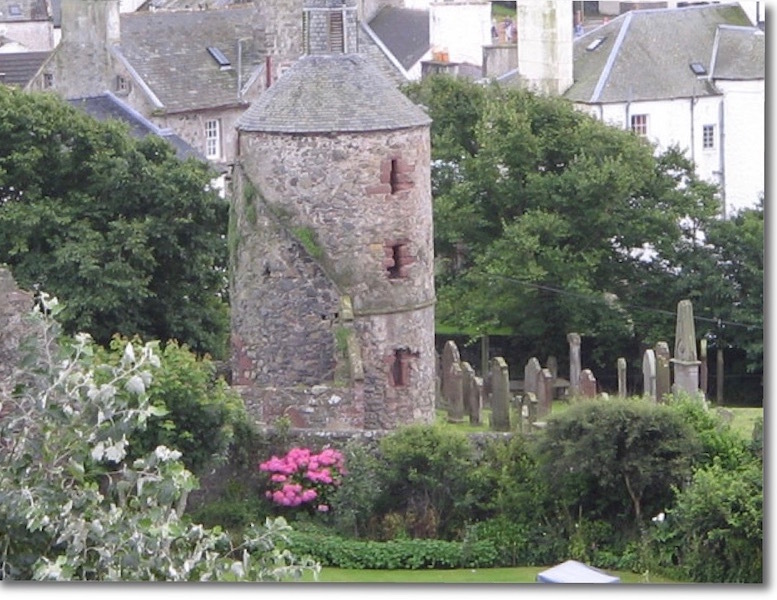 Find The Attic Portpatrick on the Visit Stranraer and The Rhins website and see some other great places of interest to visit and things to do on your trip to The Rhins of Galloway. 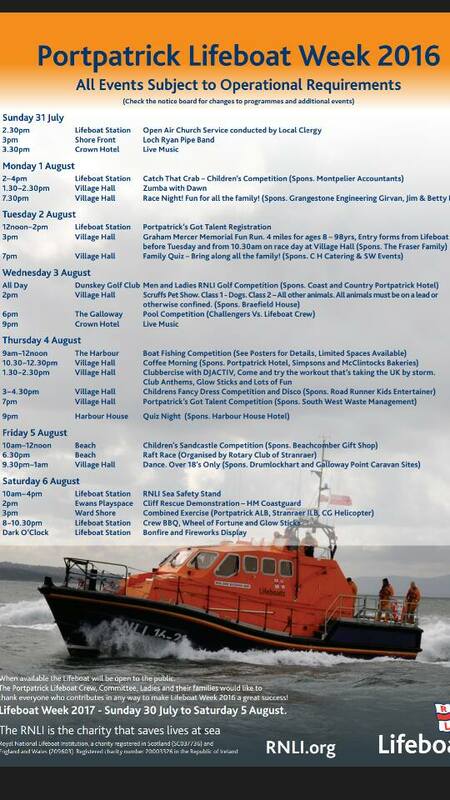 The 2016 timetable will give you a flavour of the broad range of exciting activities and events for all ages during the annual Lifeboat Week in Portpatrick until such times as the 2018 timetable is published. Why not book now for this year?